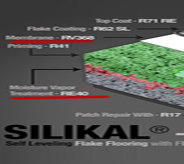 Silikal's floor waterproof membrane can act as a concrete vapor moisture sealer or can be utilized as a sealant for commercial shower rooms as well as public bathrooms where water seepage can become a huge problem. 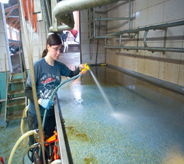 A waterproof membrane for flooring is common for such areas as mechanical equipment rooms, parking decks or areas subject to chemical intrusion. 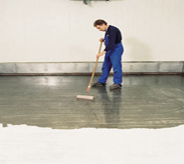 Waterproof membranes for flooring are an absolute necessity to prevent any damaging water leakage. If you are in need of some sort of floor waterproof membrane, it will pay you in the long run to truly understand the various questions and answers that crop up in relation to a floor waterproof membrane. Now different people have different needs for a floor waterproof membrane. It may simply be that they are putting up such a barrier so that if water should suddenly flood the specified area then the waterproof membrane will prevent the water from running its course and eventually destroying everything in its path. For example toilets do not flood the area every day, but occasionally they do. Because tile is not waterproof around the tile grout, there may need to be a floor waterproof membrane over the existing tile and grout. Or one may need a floor waterproof membrane because the flooring will be under a continuous dunking of water. Swimming pools, public fountains, spas, public showers, aquariums and such immediately come to mind of course. On the other hand, you may be seeking relief from concrete vapor moisture. This frequently happens in older basements. One gets a cold clammy feeling in such basements that have absolutely nothing to do with hauntings, instead it is the human body’s reaction to vapor moisture. You feel damp and cold, and you may even find yourself shivering. Today technology and science has solved the problems associated with needing a floor waterproof membrane, and all you need do is to look around and begin to compare the various products that are out there. Thankfully those products do permit the trouble-free control of, as well as the final elimination of moisture. Rather than have to spend a terrific amount of money tearing out and rebuilding a concrete floor to get rid of that awful cold, clammy feeling, it is our hope here at Silikal that you will allow the best company to put up your floor waterproof membrane. 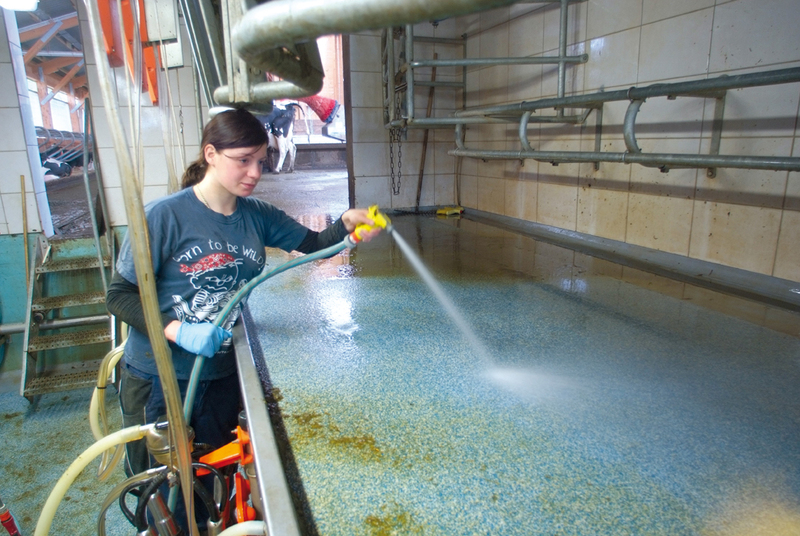 We, at Silikal have the well-trained know how to enable us to do this, but more importantly, we have the scientists who have worked diligently and finally overcame the problems that were associated with this type of product the world wide over. They have made the prevention of moisture build up from the substrate to become a true art, an art they will willingly share with you. You truly can do no better than with Silikal for your floor waterproof membrane installation.